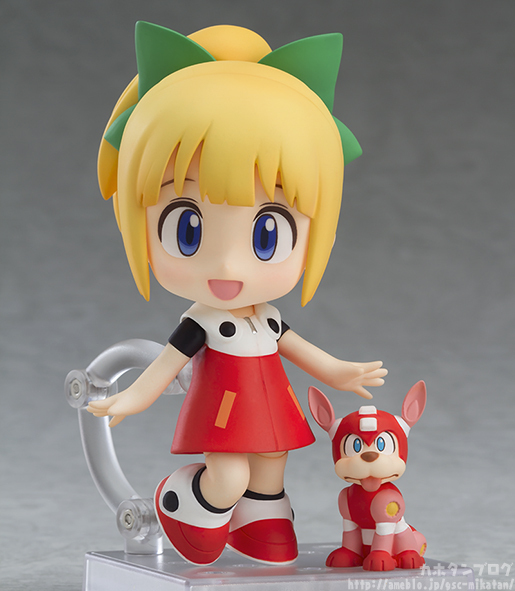 Rockman Corner: Nendoroid Roll (Mega Man 11) Revealed! 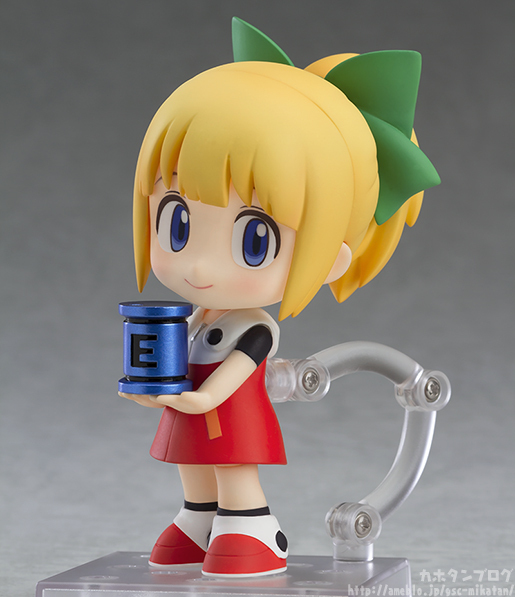 Nendoroid Roll (Mega Man 11) Revealed! Cute. 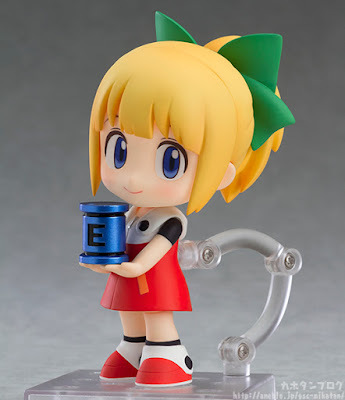 She'll go great with the regular Mega Man. Though Rush is the highlight for me here. Ah, yes, Roll's "Cleaning Device." The classic. 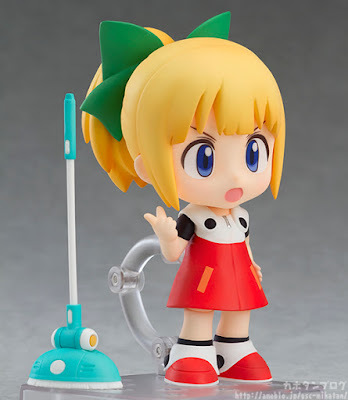 Who could ever forget Roll's "cleaning device". A true staple of the series. Before I saw the pics I was sure it would be her broom from Powered Up / Tatsunoko. Aw,she's so frikken Adorable. Cuteness Overload! I usually don't buy nendos, so i don't know if i'll make a exception for this one, but she look very cute. I want order 11. She's just the cutest darn thing. i buy because of the little rush. it's what convince me. ROLL IS THE CUTEST GOSH. 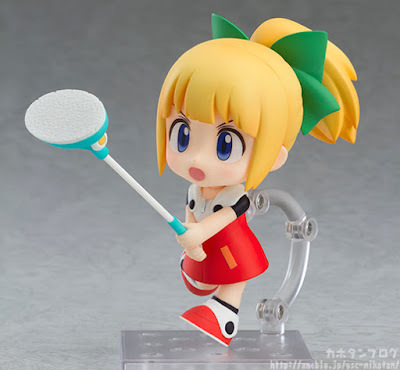 Will definitely buy this and I don't even care about nendos. Maybe if we get a Protoman nendo, he'll come with Tango? I'm so glad we all no longer have to read "give us another game, and not more merch!" comments anymore. Gimme another X, Legends, ZX or SF game I'm so tired of Roll, Rock, X and Zero figures. What about a poseable figure of a Maverick other than Vile? 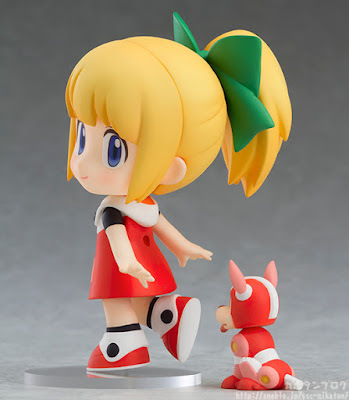 Impossible to be tired of Roll! I dunno, I think we get the main cast a lot b/c everybody's gonna like the good guys. How do you figure which robot master/ maverick popular enough to warrant a figure? I also would've dug Megaman Universe. I will never give up hope of a poseable Sigma. I don't think we even got that poseable super-deformed one that was on here a while back, did we?